The social leader Alvaro Noboa has the pleasure to introduce you to the social work done by his organization, Crusade For A New Humanity Foundation. In order to accomplish so, a new Spanish website with more details, photos, and videos has been developed. Crusade For A New Humanity Foundation was founded under the principles of love and solidarity. 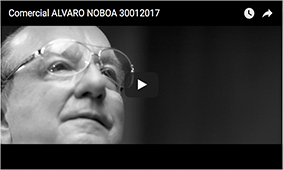 The philanthropist Alvaro Noboa, in his social responsibility, created this organization to bring social, medical, and educational work to the most needed areas of Ecuador. Explore the new Spanish website of the Crusade for a new Humanity Foundation here.